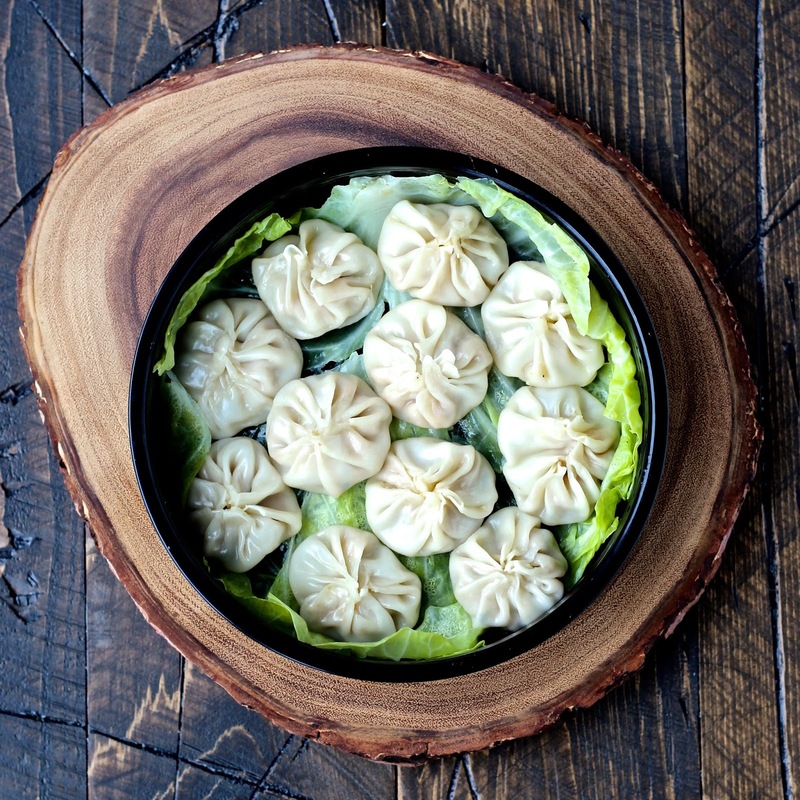 An explosion of flavors and textures- these dumplings are pure bliss in a bite! is made by simmering real bones, flavorful vegetables and aromatic herbs for hours. It’s this process that gives it rich depth of flavor. That’s how Progresso’s new line of premium Cooking Stocks are made. All of that flavor is packed into a carton that you can open up and use immediately with none of the work. It’s a great addition to soups, stews, sauces, chili- the possibilities are endless! And at just 15-45 calories and 0-1 gram of fat per serving, it’s a quick and clean way to boost the flavor of any dish. So when I heard about the Recipe Redux #ProgressoEatsContest featuring the new premium Cooking Stocks from Progresso, I knew I had to enter. One recipe immediately popped into my mind- Chinese soup dumplings. To me, this dish is the epitome of bone broth dishes. traditional dumplings but taken to a whole new level. Incorporated into the dumpling filling are cubes of gelatinized broth. As the dumplings steam, the broth melts so that when you bite into one, you get an explosion of flavor and textures in your mouth. Pure bliss in one bite! When we lived in New York City, we used to frequent Chinatown and enjoy soup dumplings often. They’re a dim sum staple. I admit that we were spoiled, having access to the best international cuisine available. Now that I live in South Florida, some of these dishes are a little harder to find so I often try to recreate them at home. However, I never tried to make soup dumplings before because it’s a long process to make the gelatinized broth. Traditionally, to get that rich, thick broth, several ingredients like pork bones, pigs feet and skin are simmered with aromatics. The collagen melts into the stock, thickening it and eventually it solidifies when refrigerated. whisk some gelatin into Progresso Chicken or Vegetable Cooking Stock and refrigerate until firm. Easy peasy! Once it hardens, you’ll basically have a big tray of jello. Slice it into long planks and then dice it up into cubes. Just look at those beautiful little cubes of chicken goodness waiting to get stuffed into dumplings! For the dumpling filling, I used a combination of chicken and shrimp. Although pork is traditional, I wanted to use chicken to highlight the flavors in the Progresso Chicken Cooking Stock. I also took a little help from the store by buying dumpling wrappers instead of making wrappers from scratch. You can find dumpling wrappers at Asian grocery stores or specialty stores like Whole Foods. If you can’t find them, you can use wonton wrappers, which are slightly thinner. When you stuff the dumplings, you want to put about 1 teaspoon of the meat filling into the center of each dumpling wrapper and add a couple of the broth cubes. Don’t overstuff them or they will be difficult to wrap- I learned the hard way! Then, lift up the edge of the dumpling wrapper and make little pleats, working your way around the whole circle until it is closed. It took a few tries to get used to forming the dumplings but after two or three, I had it down pretty well! This recipe makes a lot of dumplings, so at this point you can freeze some and save them for a rainy day. Then when you’re ready to cook them, set up your steamer. I don’t have a traditional bamboo steamer so I used my rice cooker, which has a steamer basket insert. Add a couple of inches of water to the bottom of the pot and line the steamer basket with some cabbage leaves. Spray them with cooking spray and arrange some dumplings in the basket so that they’re not touching each other. Steam them for about 10-12 minutes or until the filling is cooked through. To serve with the dumplings, I made a quick sauce with soy sauce, Chinese black vinegar and ginger. If you don’t have black vinegar, you can use a mixture of 1 part balsamic vinegar, 1 part rice wine vinegar and 3 parts water. bite. As you bite into it, the soup will burst out and mix with all of the flavors in your mouth. Serve them as an appetizer at your next party and watch them disappear! Pour 3 tablespoons water into a small bowl and sprinkle the gelatin on top. Let the gelatin soften for a few minutes. Meanwhile, heat the Progresso Chicken Cooking Stock in a medium saucepan until hot but not boiling. Remove from heat and add the gelatin mixture. Whisk until combined. Pour the liquid into a 13x9x2-inch baking dish. Cover and refrigerate until solid. Once solid, cut the block into long strips and then cut the strips into cubes, about ½-inch in size. Mix the chicken, shrimp, scallions, ginger, garlic, soy sauce, wine, sugar, sesame oil, salt, and pepper together in a bowl. To make the dipping sauce, mix the soy sauce, vinegar and ginger together in a small bowl. Refrigerate until ready to use. To make the dumplings, place one dumpling wrapper on a cutting board or flat surface and place a teaspoon of the filling in the center. 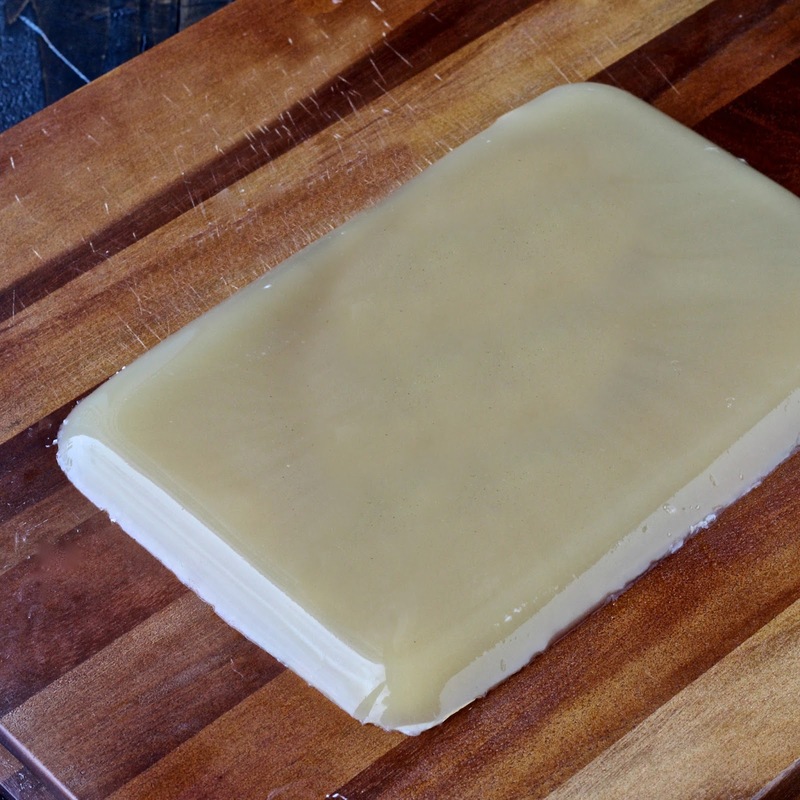 Add 2 or 3 cubes of gelatinized broth to the filling, pressing them in. Lift up one edge of the dumpling wrapper and make small pleats or folds in the dough, working your way around the entire circle until the dumpling is closed. Pinch the top to seal it. Assemble the remaining dumplings. To steam the dumplings, pour water into a steamer to a depth of 1 or 2 inches. Line the steamer basket with a few cabbage leaves and spray it with cooking spray. Place several dumplings on the cabbage leaves, leaving a little space between them so they don’t touch. Close the top and steam until the filling is cooked through, about 10-12 minutes. Carefully remove the dumplings from the steamer. Cook the remaining dumplings. Serve dumplings hot with the dipping sauce on the side. Check out below to see all of the awesome contest entries from my fellow Recipe Reduxers! Wow! You are so creative; gelatinized broth in these dumplings! I do love this line of Progresso Coooking Stocks. I' m sure this was delicious!!! These are the CUTEST dumplings I've ever seen…SO creative!! Love these! I made one attempt at dumplings and I was just too lazy to do very many 🙂 Of course mine didn't look as cute either, I need to try again because it was delicious!! Oh. my. goodness. It's very rare that I wish I could eat gluten, but these are definitely making me drool! They look amazing! Wow, that really means a lot to me! Thanks Raia! Wow. These look amazing! I recently had soup dumplings for the first time and they were so good. Slightly tricky to eat but so worth it! Haha, they can definitely be a bit tricky to eat but like you wrote, so worth it! Thanks for stopping by! omg, Sonali you are amazing! If these don't win, I don't know what will! How genius and delicious. my husband would be all over this recipe!! An explosion of flavor? I think so! These are beautiful! Sneaky right? Thanks Lauren, I hope you love them! These look absolutely perfect! 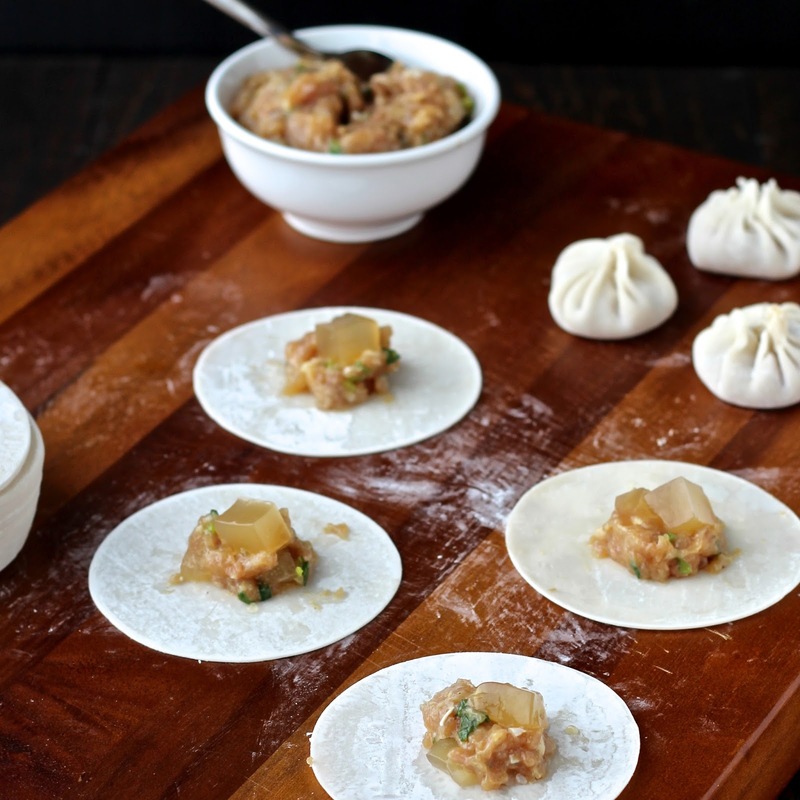 I love dumplings so much & this recipe sounds fantastic! That's seriously an amazing idea– I don't think I've ever heard of gelatinized broth cubes before! Cool, right? Thanks so much for stopping by! Oh my GOSH love how nutrient-dense these are. And I'm seriously craving them right now. Something about this time of year just makes me want soup and dumplings!!! I love this! I did not know that chicken broth could be used for making soup dumpling gelatin. What a great idea. A must try! These dumplings look fantastic Sonali! I love the combo of chicken and shrimp! Thanks, Kelley! The combination has great flavor and texture. I've never come across this trick of putting cubes of gelatinised broth inside a dumpling – it's instantly gone to the top of my to-do list! Well, I LOVE soup dumplings so I am definitely going to have to try this recipe. Such a neat idea to use gelatinized broth! I love all of the science tricks you can use when cooking 🙂 Beautiful post as usual! Adding to the list! Thanks so much Katrina! I haven't been able to find good soup dumplings where I live now so I love that I can make them at home! I've never attempted to make my own dumplings because it seemed like too much work. But you make it seem so easy. Pinning for future use – when I get up the nerve to give it a whirl! This dish looks and sounds delicious. A must try. Just wondering, since I don't eat gelatin, would agar agar be a good substitute? Oh man, I've always wanted to make these at home, but never knew the trick to getting the soup in there. Thanks for sharing the secret 🙂 Pinned for this weekend! Yay! Have fun making them! Ooh, yum, this looks absolutely delicious, and easier to make than I would expect! Wow, those look so good! You did an awesome job making those. I bet my family would love to try these dumplings. Oh Marissa, you have to try them! I hope you love them as much as I do! So glad I found your blog! I'm a physician blogger as well but I mainly focus on health and beauty, as I'm doing my derm residency in NYC. Xiao Long Bao (steamed soup dumplings) are my favorite food of all time; every time I go back home to California I'm dying to go to Ding Tai Fong which is a restaurant branch from Taiwan that makes the best soup dumplings. Thank you so much for this recipe! I'm going to try this with my husband (the way better chef) at home! This soup looks amazing! Thanks for the recipe, I will need to try it for my family.